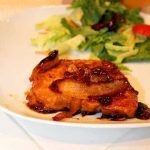 These skillet pork chops are a simple meal idea for a weeknight. 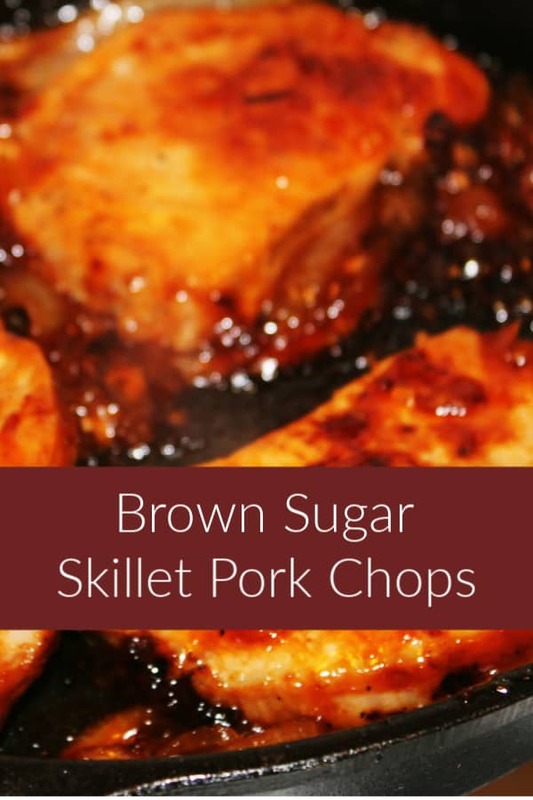 Made with a brown sugar sauce, they are tangy and tender. They can be made in a single skillet which makes clean up a breeze. 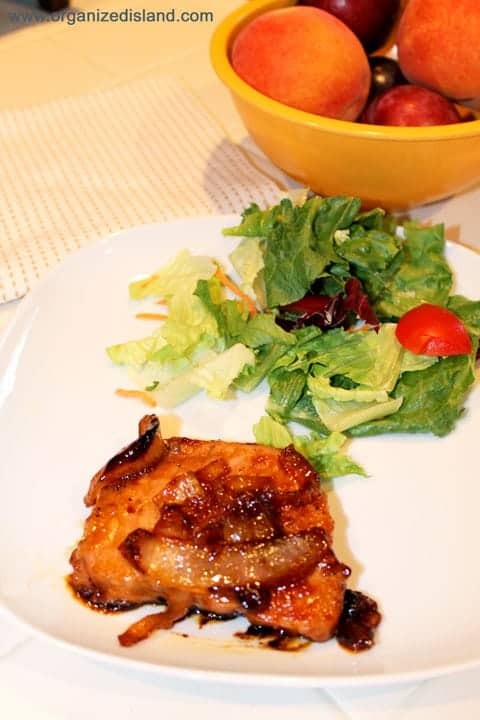 I like to make these when pork chops are on sale and I usually serve them with a salad and rice or potato. 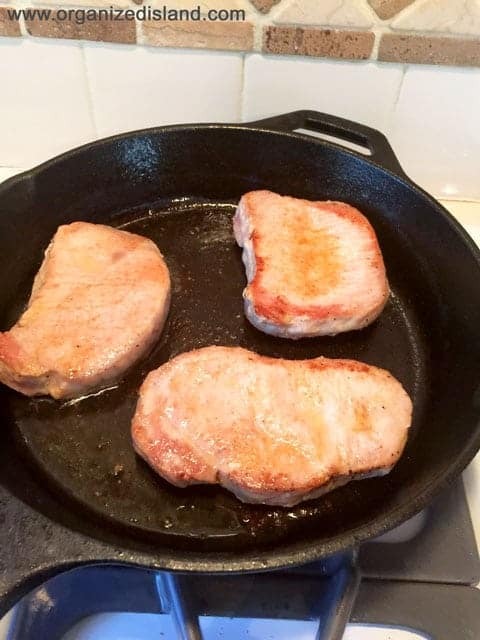 I love to use my cast iron skillet for this pork chop skillet dinner, but a regular frying pan works great too! We had a busy weekend and one thing I love about this meal is that it does not need a lot of ingredients, and leaves you with little clean up! It’s all about making the most of the time. 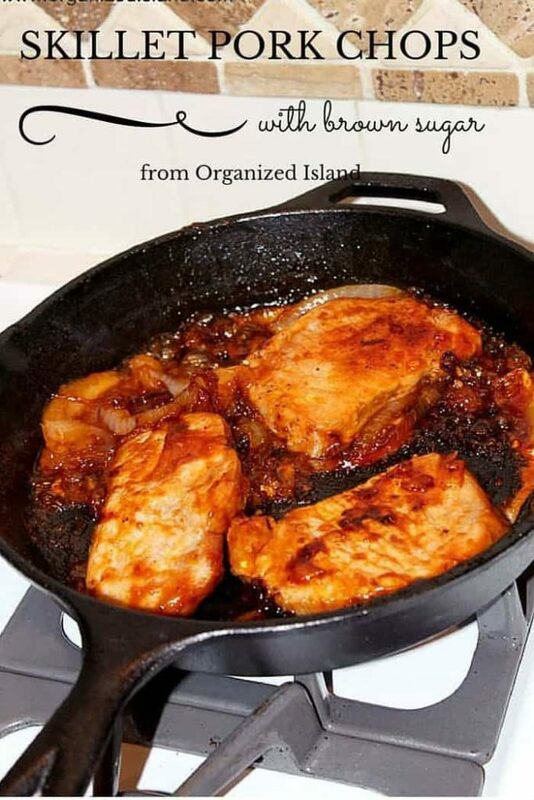 Tasty and tangy pork chops made in a skillet on the stove top. 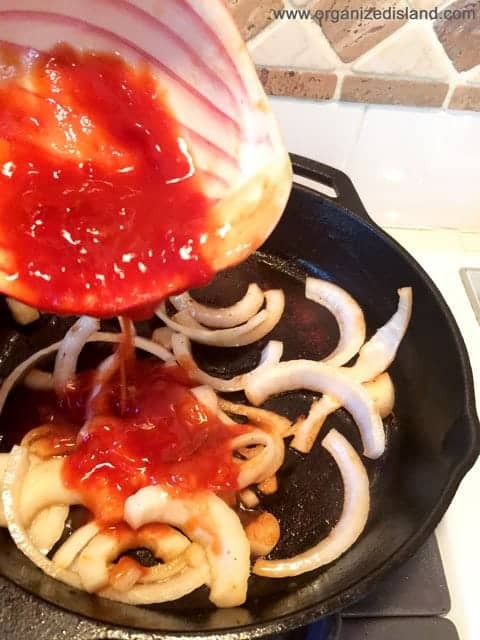 Place oil in skillet and heat on medium high. Meanwhile, season pork chops with a pinch of salt, pepper and garlic salt. Add ketchup and then brown sugar to mixture and stir until sugar is dissolved. 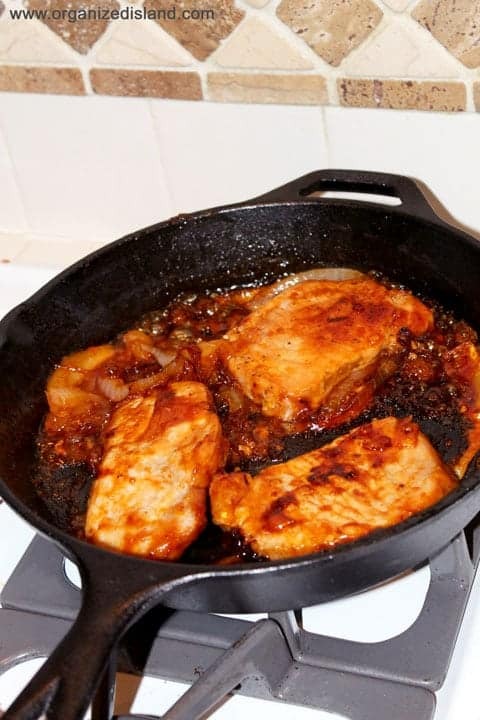 Add pork chops back to skillet and cover with brown sugar and onion sauce. How do you like your pork chops? 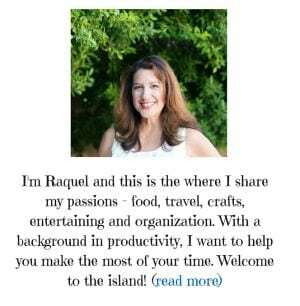 This recipe was recently featured on Southern Plate’s Meal Plan Monday. Thank you Ashley! I hope you love them! What an easy and tasty recipe this is!~ My family would love it. Thanks for sharing. Just made this and it was awesome! Best Pork Chops I ever had (sorry Mom). We had it over rice, o my was this delicious! And will be a keeper in this house! I am so glad you liked it Chrissy! Thanks for letting me know you tried it!